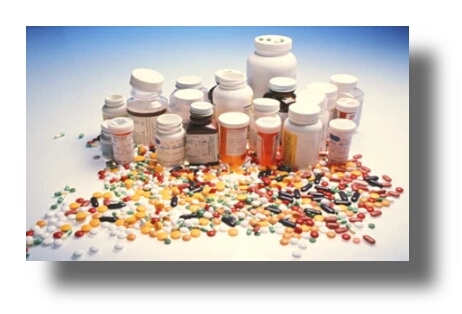 Last year, over half a million Americans were hurt by prescription drugs. And 100,000 of them died. How did that happen? If some prescription drugs are that dangerous, how are they getting approved? The answer is not simple. There are good people involved in the process. But the incentive in the system has become distorted. The FDA now regulates $2.5 trillion worth of food, drugs and medical devices. That’s 25 percent of all U.S. consumer spending. Plus, over the last two decades, America’s appetite for prescription drugs exploded. The FDA, struggling to keep up, needed to get drugs approved faster. But the bureaucracy has grown so big that it’s not very efficient. So the FDA tried to shortcut the time for drug approval by getting the drug companies themselves to pay for the research. In 1992, Congress passed the Prescription Drug User Fee Act to give the FDA more desperately needed funds. The law allows drug companies to pay the FDA to approve their drugs. This funding is called “user fees,” which this year will equal nearly one-third – $920 million – of the FDA’s budget. The fees make sense for the drug companies because delayed drug approval means millions in lost revenue. So, paying “user fees” to the FDA gets drugs approved fast. In fact, this funding boost has made the FDA the fastest drug approval agency in the world. But that turned out to make a bad situation worse. Now you have government employees and supervisors very sensitive to what the drug companies think of them because they’re dependent on the companies for funding. How does this affect you? Because as a result of this current structure, more than 20 approved drugs have been recalled since 1992. Before the Prescription Drug User Fee Act – when the FDA received no funding from pharmaceutical companies – only eight drugs were withdrawn from the 1950s through 1992. But withdrawn drugs are just scratching the surface. There are countless dangerous – even deadly – drugs that remain on the market. Drugs like statins and powerful NSAIDs. Not to mention recalls due to contamination and other manufacturing problems. Avandia: 83,000 heart attacks, 304 deaths and thousands of reports to the FDA, and 10 separate studies say it increases the risk of heart attack by up to 80 percent… and it’s still being prescribed to thousands of diabetes patients.Baycol: This statin drug caused a rare but sometimes fatal muscle ailment. There were 31 reported deaths directly linked to it before Baycol was pulled from the market.Vioxx: Prescribed 105 million times … it killed 57,000 people before its maker finally stopped selling it. That in no way means there aren’t life-saving drugs developed by responsible people that have helped millions of Americans. But one brand new study by the American Sociological Association found that 85 percent of new drugs cause more harm than good.9 And Celebrex, a pain reliever similar to Vioxx, has caused hundreds of heart attacks, but is still prescribed. That can certainly make you wonder if we don’t need to slow down a little bit, and take a closer look at what drugs get approved, and how fast. Whether that happens or not, there’s good news. There are forces out there that aren’t working to your advantage. Despite the smart people doing hard work and all the helpful science, not everyone’s incentive is your health. But don’t worry. You have plenty of help, and you can make your own choices. You’d never hear that from a big company because showing you how to keep yourself well isn’t half as profitable as treating symptoms with drugs. But there are natural remedies and preventatives that can keep you away from the pharmacy for good. 1. Eat like our ancestors. Our ancestors ate what they could hunt and gather. And that was natural meats and eggs, veggies, unmodified fruits and nuts, and olives. They ate a lot raw natural food with fewer carbs – and no processed foods or food cooked with vegetable oils. As a result, their archaeological records show virtually no heart disease, diabetes, osteoarthritis or obesity. 2. Enjoy the food you were born to eat. I’m talking about fat. Eating fat does not make you fat and unhealthy. But eating the wrong kinds of fat will. Our bodies need fat to absorb vitamins. In fact, vitamins A, D, E, K, and CoQ10 can’t even be absorbed without fat. What’s more, when you deprive yourself of fat, you eat more carbs. And an excess of them can put you at risk of weight gain, heart problems, diabetes and stroke. The best fat sources are foods loaded with Omega-3s (such as walnuts, almonds, cod liver oil and wild-caught salmon). But stay away from bad fats, like processed foods and vegetable oils. And don’t even go near potato chips, cookies and salad dressing. They’re loaded with the very worst fats – trans fats. 3. Stay away from simple carbohydrates. Starchy, high-carb foods spike your blood sugar. And that triggers the release of insulin. Over time, this can put you at risk of insulin resistance. And when that happens, you’ll be on the fast track to obesity, diabetes and heart disease. Always eat foods with a low glycemic index and glycemic load.